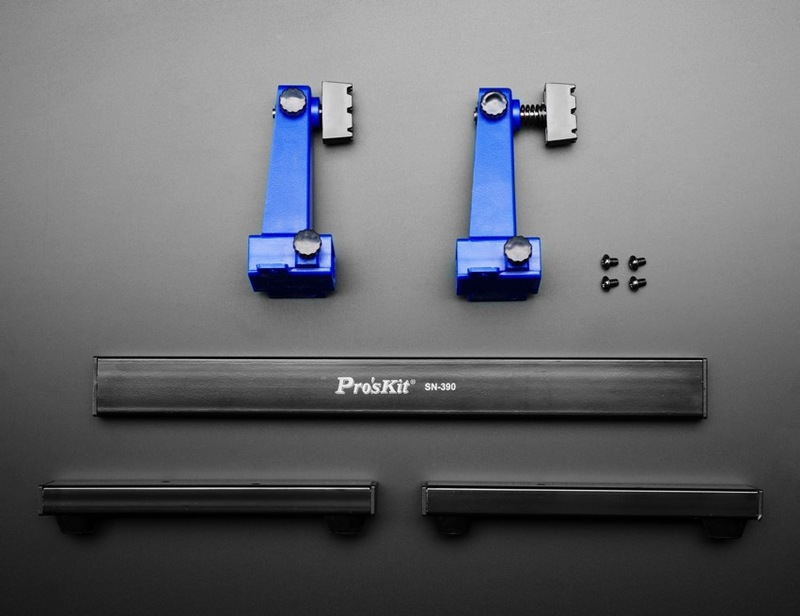 NEW PRODUCT – Fully Adjustable PCB Clamp Holder – Pro’s Kit SN-390 « Adafruit Industries – Makers, hackers, artists, designers and engineers! 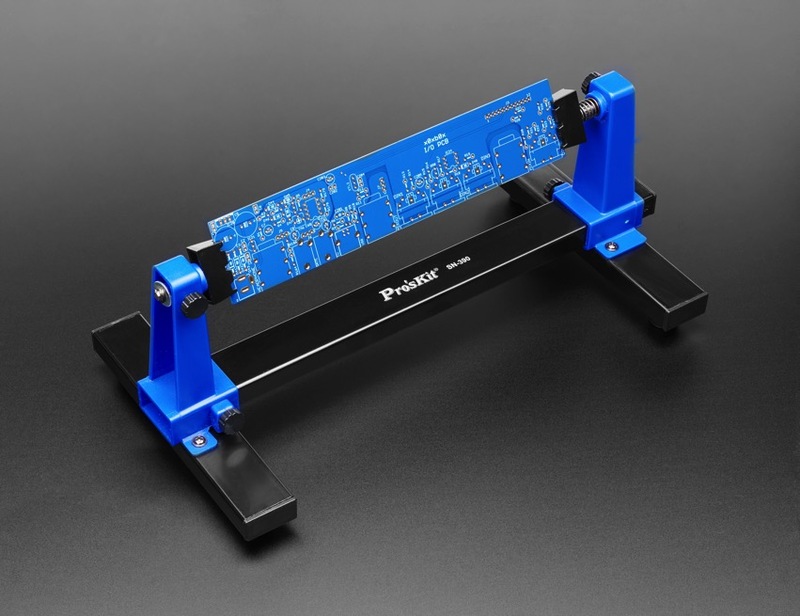 This fancy and ultra-adjustable PCB holder was recommended to us by Collin, who is not only a master at soldering but also has impeccable taste in furnishings, so we just had to get these in stock. Not surprisingly, we agreed with Collin that this is a really great PCB holder. Got a big ol’ clunky circuit board that needs rework but is too big for your standard everyday vise? Not a problem. Have to do lots of through hole where you place the part on one side, then flip over to solder the other? Easy peasy lemon squeezy. 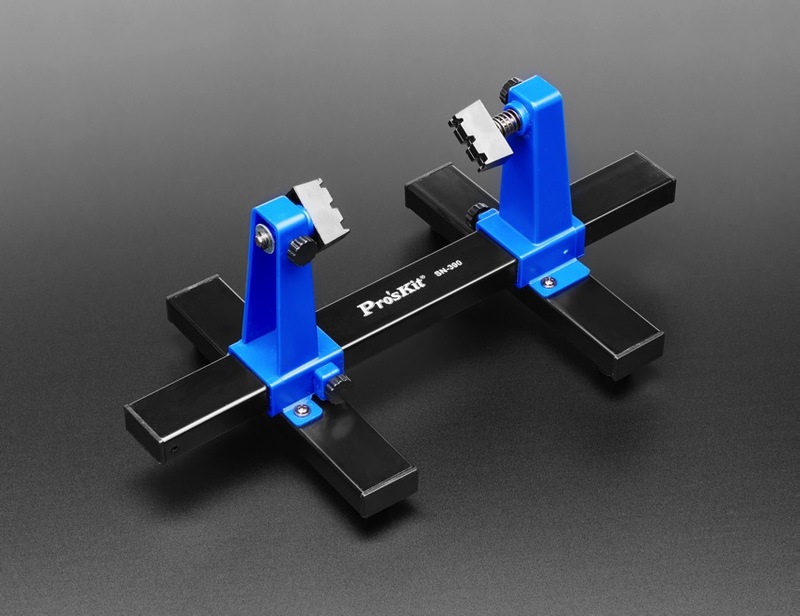 The Adjustable PCB Clamp Holder from Pro’s Kit is designed for larger, heavier PCB soldering and desoldering. But it works great for small boards too and is very easy to adjust. A great choice for any workbench if you’ve got enough room for it! For a smaller version, check out the Panavise Jr.!